Christmas is a magical time for most of us. We get to celebrate, indulge, give and receive gifts, spend time with family and friends and generally be jolly. It’s all so much fun, it can be easy to forget the good habits we’ve adopted during the year or just give in to the pressure to ‘consume’ and spend more than we’d like to. 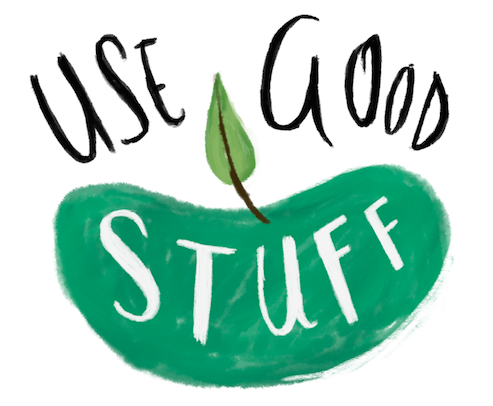 So, we’ve put together these 10 tips for a lower waste, more sustainable Christmas to help you navigate the silly season without letting all your values go out the door. This is something we are trying to teach our children – it’s about quality, not quantity. When you are buying gifts, make them count. Choose things that are well made and built to last. Even consider what your kids NEED too – not just what they might WANT. There are a few pairs of new knickers making their way under the tree this year for our 2 girls and they will be delighted!! 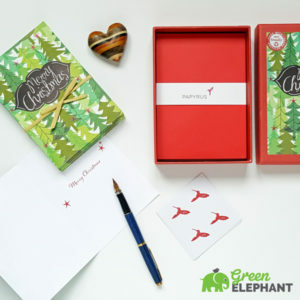 This is a cheap and very low waste way to keep in touch with people and send season’s greetings at Christmas. I can see the benefits….I really can. However, it’s not something I can whole heartedly embrace. I send approximately 30 Christmas cards every year – nearly all of these go from New Zealand to the UK. For some of the recipients, it’s the ONLY time of year that we keep in touch. I enclose a recent photo of the family for some and always write a mini novel to each and every person about what we have been up to in the past year. I always use my best fountain pen and these sentiments are my ‘gift’ to those people that we still care about deeply even though we upped and left them 9 years ago to come and live in New Zealand. Sorry. An email will just not cut it here. And of course, I’m always thrilled to receive the same in return (although some of our friends are just not that good…). This year, I’ve chosen cards made of recycled paper and printed with vegetable inks which I’m happy is a more sustainable choice. If you have a large family or group that normally shares Christmas, why not try out a Secret Santa. Put everyone’s name in a hat and then take it in turns to pick one out – and that is who you buy a gift for!! This way, everyone only has to buy one gift, and you can even agree a budget or set a spending limit too so it’s all fair and square and nobody has to overspend. This is a no brainer and certainly not reserved for Christmas!!! I think we’re all on that page now aren’t we…?? But we can always use more than one reusable shopping bag or tote right…?? And some of us might have that friend who lags behind and maybe all they’re looking for is a super stylish reusable bag to get them on board (a great sustainable Christmas gift idea. You’re welcome!). This is an awesome idea and who doesn’t love a bit of home baking..?? Whether you have your own fruit supplies or just like to spend time in the kitchen, there are loads of tasty things that can be made and given as beautiful gifts. Marmalade, mini Christmas cakes, spice biscuits, shortbreads, homemade marshmallows, truffles…. 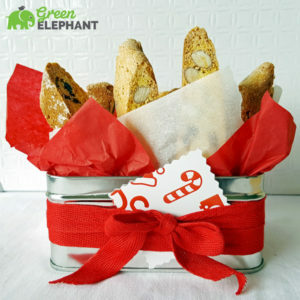 These beauties on the right are biscotti – so easy to do and very easily adapted to whatever you have in the kitchen. These ones were cranberry and almond. Dish magazine is always a great source of inspiration for me and usually has a special ‘Gifts to Give’ section at Christmas. Check it out and be inspired. Instead of always growing our collection of ‘stuff’, Christmas is a great time to be grateful, recognise that there are others less fortunate than ourselves and share. Go through the children’s toy and book collections and choose some items to be donated to hospitals or charities that make up gift boxes to give to children who wouldn’t otherwise receive presents. Not only are you paring back all the ‘stuff’ in your home, you’re teaching your kids a valuable lesson, re-purposing quality items and giving disadvantaged children something to smile about on Christmas day. Win win. Everyone loves a beautiful candle to add atmosphere after dark or to fill your home with amazing fragrance (gift idea right here people….!!). However, choose carefully. Avoid candles that are made of paraffin – they are no good for your health or the environment. Instead, choose beeswax, soy or vegetable wax candles with pure essential oils. I hope it goes without saying, but just in case….. none of the candles on Green Elephant contain paraffin. New Zealanders throw away 122,547 tonnes of edible food every year. Make sure you do not add to this statistic this Christmas. Plan your meals, shop accordingly and know how the leftovers can be used properly. Who doesn’t love a ham sandwich or a turkey pie…?? But not day after day into the new year…. Get creative and think of a few other ways the leftovers can be used so you don’t get bored. Make sure you have made space in your freezer if it will be needed and have plenty of suitable containers on hand for proper storage. Gift wrap is a bit of a pet hate of mine. It’s not so much the paper itself, because there are some beautiful and more sustainable choices available, but the frenzied tearing and the subsequent wasting of the beautiful paper that doesn’t sit so well with me. I am one of those people that takes their time, carefully easing off the tape or string so the paper can be kept intact and reused. Yes..I am THAT person. Children cannot be relied upon to go to this much effort, so last year we used flyers and free papers to wrap our tree presents. A nicer alternative if you are gifting to others (not family…!) is to use recycled brown craft paper that is also fully recyclable after use. This can be decorated using stamps or children’s colouring and a piece of twine or ribbon makes a lovely addition too. Your time is valuable. Have you ever considered giving your time and expertise as a gift..?? This is an especially good one for children – they could mow the lawns for a month or clean the car each week for your neighbours or friends. Maybe they could cook a meal..?? It doesn’t cost much to offer this, but has the potential to be a really meaningful experience – for the kids and the recipients!! And there you have it. 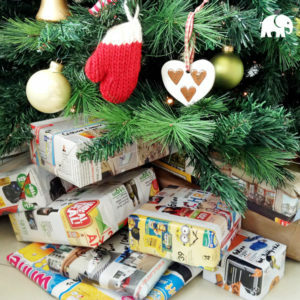 Our top tips for a lower waste, more sustainable Christmas. If you have any of your own tips to add, we’d love to hear from you!! Words and images provided by Gillian at Green Elephant. Read more from Gillian on their blog. Check out Poppy’s Christmas tips from last year. Previous postDIY Christmas Advent Calendar!